Puerto López county in the Manabi Province is one of the most visited by tourists who pass through the Spondylus Route each year. The diversity of activities, pleasant climate, delicious cuisine and warmth of its people make it one of the places you just must visit while in the Ecuadorian coast. Recently the county was declared by presidential decree, as the first tourist area to be protected within the country. This politic is intended to carry out a comprehensive regeneration of the site and preservation of natural areas, including the Machalilla National Park, which is considered a nature sanctuary. It is inside the park, as well as the extent of territory that includes Puerto Lopez, where it grows a tree with countless beneficial properties. The Palo Santo, or “Bursera graveolens” according to its scientific name, is a native species of the dry forests of South America. In the specific case of Ecuador, it is believed that the Palo Santo has been around since prehistoric times. Ancient cultures such as Machalilla, Manteña and Valdivia were aware of its healing power and used it to heal both, body and soul of their patients through purification rituals led by healers or shamans. At the time of burning, Palo Santo incense smoke produces a pleasant aroma which acts as a mosquito repellent and surprisingly, also relieves bone ailments, headaches, allergies, flu, among others. 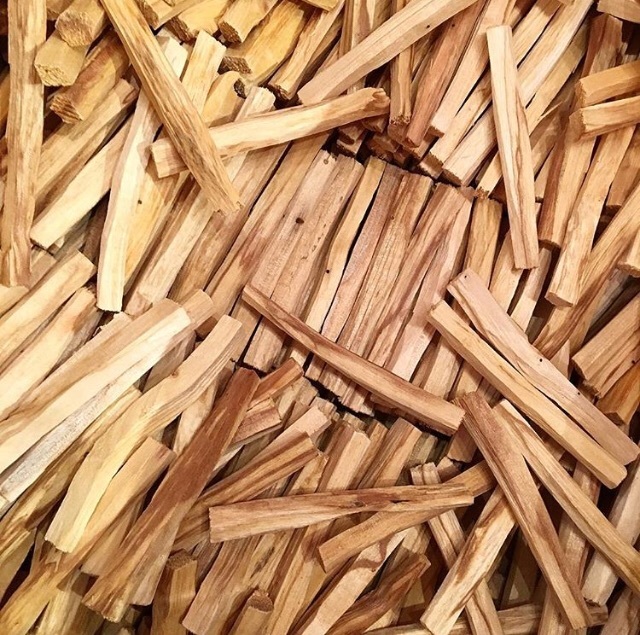 This is the reason why the Spanish conquerors, stunned by its healing properties, started calling it “Palo Santo”, which means “Holy Tree”. Available to buy at CAOBA. This entry was posted in Incense and scents and tagged incense, palo santo on September 26, 2018 by admin. 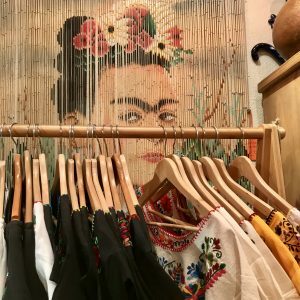 There has been much excitement in the UK about the Mexican artist Frida Kahlo ever since the major exhibition Frida Kahlo – Making Herself Up opened at the V&A back in June 2018. And the exhibition is great; a fascinating and insightful mixture of her public works and her private possessions, artefacts never seen outside Mexico before. The exhibition runs until November but is pretty much sold out, with just a few tickets available from the museum on the day. Meanwhile, here in Edinburgh we have been inspired by Frida since our first trip to Mexico back in 2001. Her image and style surrounds us in our shop in Stockbridge, Edinburgh and we are always delighted to introduce her to a new audience. 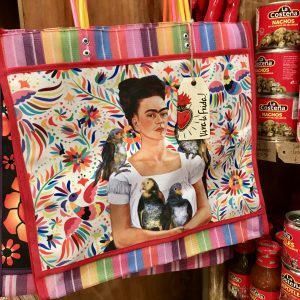 Kahlo’s dramatic style suits reproduction and in both our shops online and in store we carry a range of products featuring her striking image. 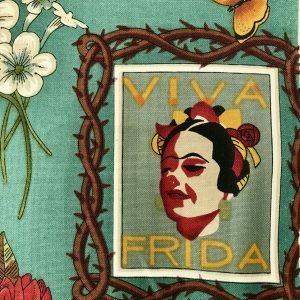 This entry was posted in Mexican Icons, Mexican print fabric, Useful Info on September 24, 2018 by admin. Another amazing project completed by one of our clients. 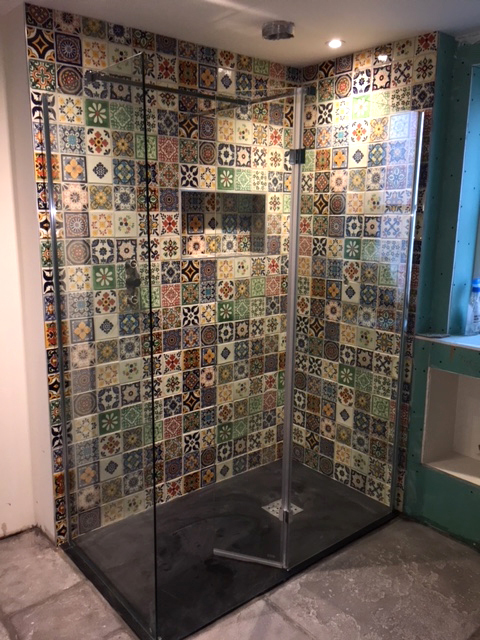 This shower cubicle has been cleverly designed using a seemingly random mix of our Mexican tiles to create a wonderful patchwork like effect on the walls. We create pattern sets for you to browse on our site which are all available to buy here. Tiles available to buy at CAOBA. 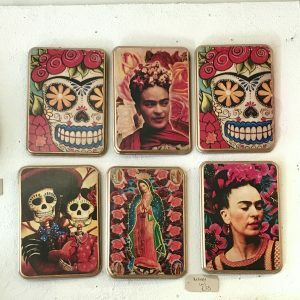 This entry was posted in Mexican Tiles and tagged mexican tiles, tiles on September 22, 2018 by admin. We receive some wonderful picture of our customers Mexican tile projects, this is one of my favourites! 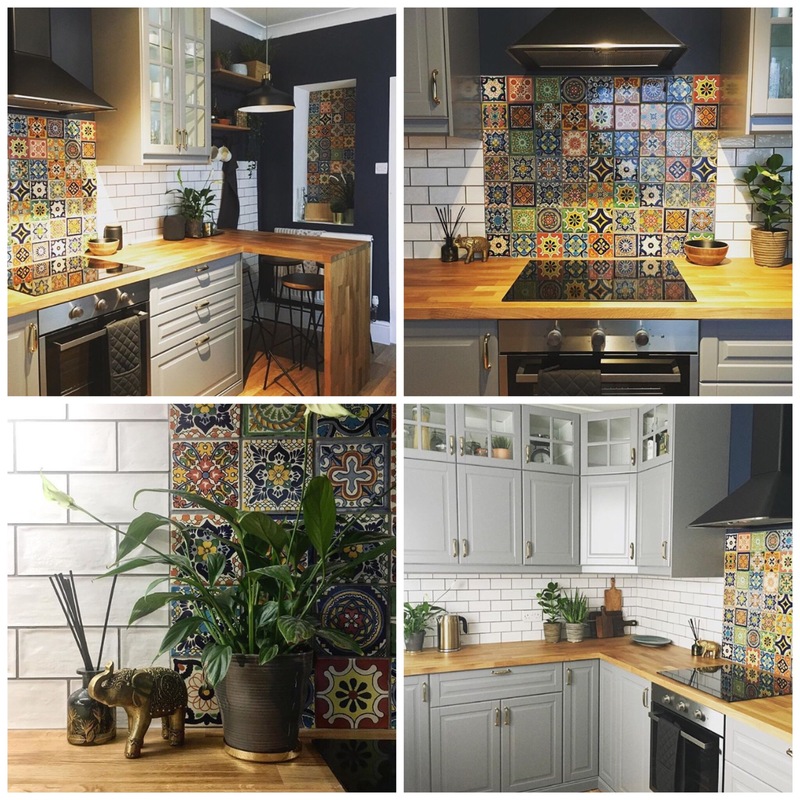 The mixture of the Ikea kitchen and mexican tiles give an original, stylish and colourful finish. Visit our website Caoba to see our other products. This entry was posted in Mexican Tiles and tagged caoba Mexican shop, decorative tiles, kitchen tiles, mexican tiles, mexican tiles uk on September 20, 2018 by admin.